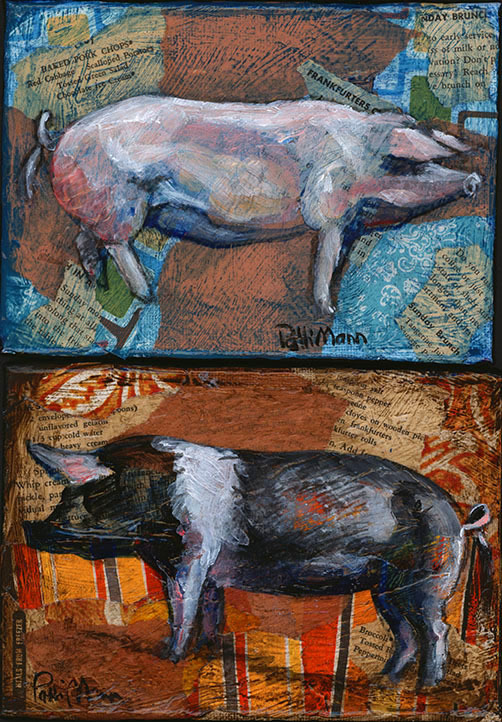 “Pink Pig” * “Black Pig”, 7×5″ mixed media & acrylic on stretched canvas. Retail Price: $45/ea. SALE PRICE: $31.50/ea, or both for $55.